One of the nice things about being a card maker is I never have to drive to the store and try to choose (from a limited selection) just the right card for whatever the occasion might be. 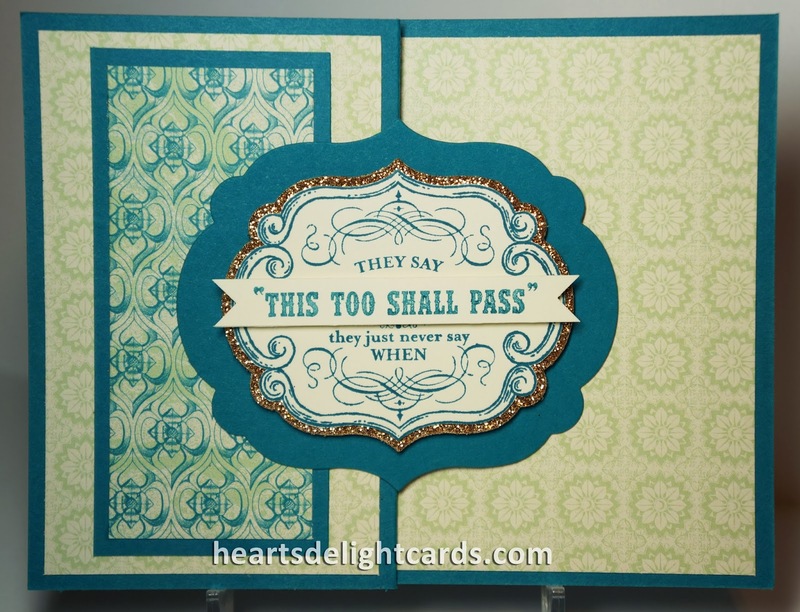 Case in point: I want to send a card to a family member who could use some cheering up, and a "Hang in there". 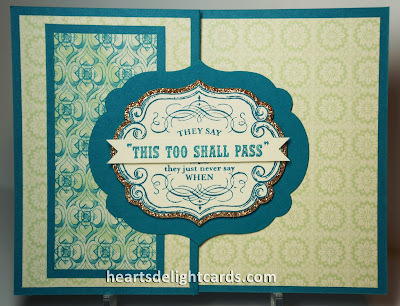 The stamp set From My Heart had just exactly the greeting and sentiment that I wanted (inside it says 'Hang in there'), and I got to choose the design. How cool is that? Sooo much better than any store-bought, mass-produced, printed card! Again, the designer paper makes the card. The Venetian Romance DSP has so many completely different designs, yet they all complement each other. Yesterday's card also used Venetian Romance, so you really can see just how versatile it is! The color in this photo is a little off - the main background is Pistachio Pudding, such a lovely light green. Not at all yellowish, like the photo. We are now halfway through the 12 Weeks of Christmas for my mailing list subscribers. Don't miss out on the last six weeks of projects! Sign up today (on upper left) and you will get week 7 in your email tomorrow. The projects go out every Wednesday!